XCOM 2 takes the narrative that the player / commander failed the final mission of the first game. Twenty years later, the world leaders (including most of the XCOM council members) offered an unconditional surrender to the alien forces and their masters. XCOM was decimated and some of its members are leading resistance forces in isolated fashion. The aliens are now the defacto worldwide government and is able to build cities that are technologically advanced. However, this is just a facade, beneath the shiny surface and all the signs of utopian progress, there is a sinister agenda. Those who chose to live in the outskirts of the civilized areas have a teeny bit sense of freedom, the rest are under control of the ADVENT. In XCOM 2, the force gathers once again to stand up for humanity and reclaim the world. The remnant XCOM forces must now find their way from the ashes like a Phoenix and revive the fire within and into the rest of the human race. You now take command of the Avenger, the alien supply craft that was converted into an XCOM mobile headquarters. The open-ended gameplay will now allow you to decided where to strike, how to grow popular support, and choose the any counter-operations to disrupt. 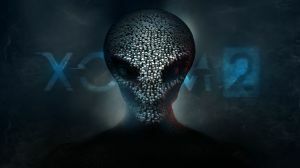 No discussions open for XCOM 2 at the moment.